The 21 and 22 November 2017 marked the 17th annual Youth Justice Convention (YJC17), which gathered more than 500 youth justice professionals to the King Power Stadium in Leicester. Delegates were made up of policy makers, decision makers and practitioners, including heads of education, support workers and youth offending team workers, which provoked interesting discussions, talks and seminars on the current state of the youth justice system. 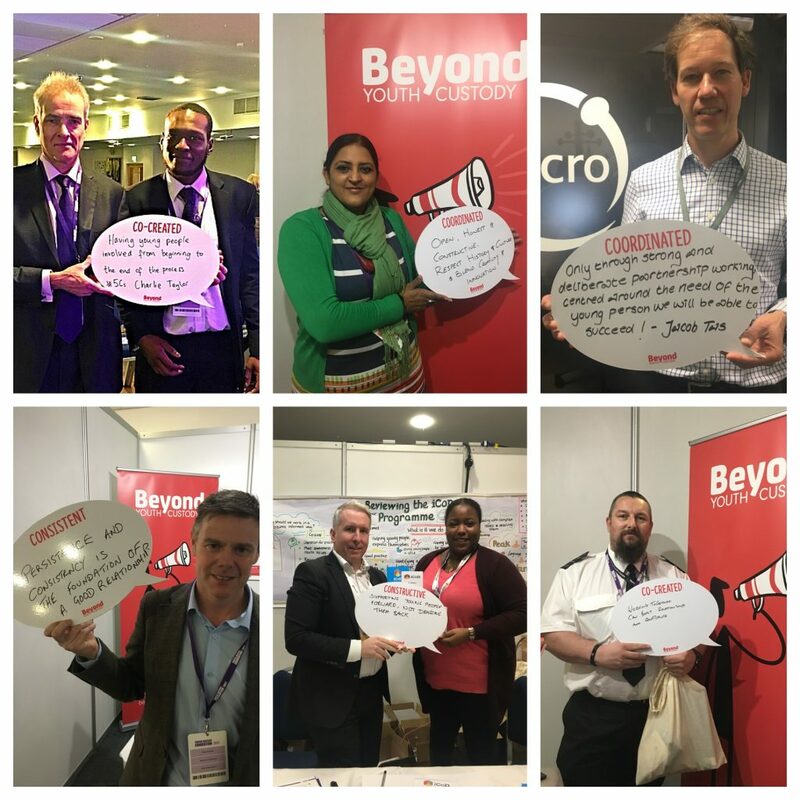 In particular, the YJC17 addressed how the implementation of the Charlie Taylor Review will affect youth justice, current changes in the youth justice system and daily challenges affecting Youth Offending Teams and services, local authorities and police forces across England and Wales. Additionally, many young people with experience of the criminal justice system were involved in the convention, reminding delegates that it is possible to turn your life around when given consistent and co-created support to facilitate effective resettlement. The convention also provided the opportunity to celebrate the many successes of young people and those working within the youth justice system and emphasised the need to work together and listen to those with lived experience in order to achieve the best results. During his keynote, Charlie Taylor addressed the need to improve resettlement; he acknowledged that there is a disparity in the way young people, particularly looked after children, are resettled across the country. Following this, Charlie Taylor suggested that a multifactorial approach, such as peer reviewing services, needs to be implemented to truly bring about change. Michael Spurr shared that the average sentence length has reduced from 16.1 months to 11.4 months in the last 10 years. Additionally, future plans for Her Majesty’s Prison and Probation Service (HMPPS) include smaller custodial units and more personalised education approaches for youth in custody. It was also mentioned that there is a need for more community resources. Claire Toogood updated delegates on actions taken since the publication of the Charlie Taylor Review. Currently, the Ministry of Justice is focused on improving life chances for children in custody by taking a cross-departmental approach, having an integrated framework of care, investing in a professional and specialist workforce and ensuring strong leadership and governance. Leading up to the conference and during, BYC ran a twitter campaign based on our recently published report: ‘Now All I Care About is My Future’ – Supporting the Shift. Delegates were invited to choose one of the five Cs for effective resettlement – Constructive, Co-created, Customised, Consistent and Coordinated – and write what it means to them on a whiteboard (as seen in the pictures below). It was great to see so many familiar faces at our exhibition stand and to make new contacts. 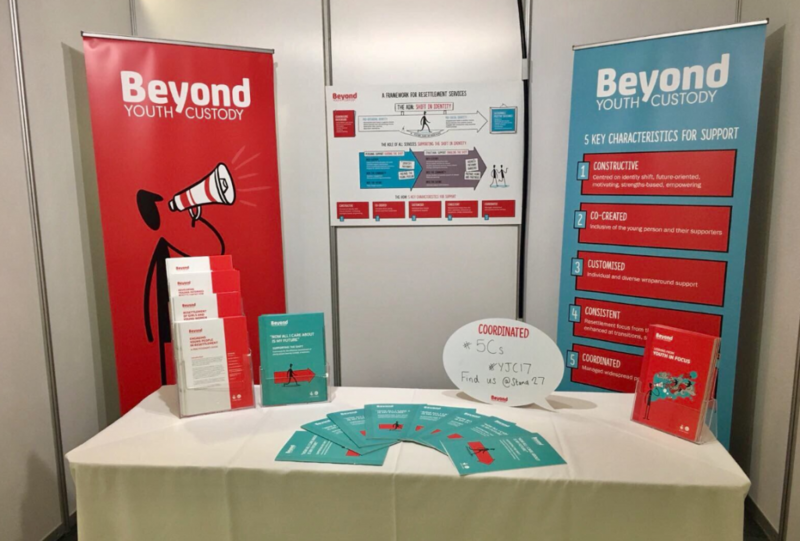 We were delighted to receive positive feedback from delegates about BYC’s resources, how they have been used in training and led to changes in approach to working with young people. On the second day of the convention, BYC’s Programme Manager, Sarah Wilkinson, co-delivered a workshop on effective resettlement for young people leaving custody with Noël Williams, Criminal Justice Team Member for the Centre for Social Justice. The workshop explored the link between research and practice taken from the learning of BYC’s recent report. This workshop also included an active discussion on the current gaps within resettlement and what needs to be improved.